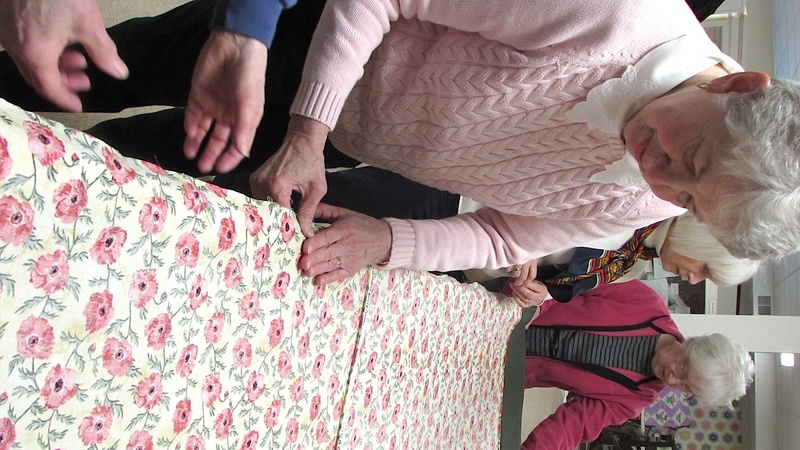 About 15 volunteeers gathered March 15 to baste the 2018 Raffle Quilt, "Forever Poppies," at the McHenry County Historical Society Museum. 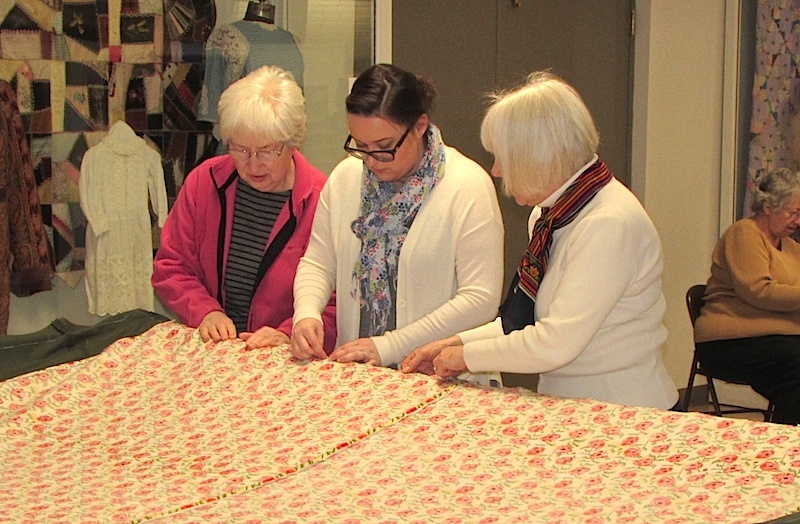 First, the quilt was stretched and backing pinned in place. 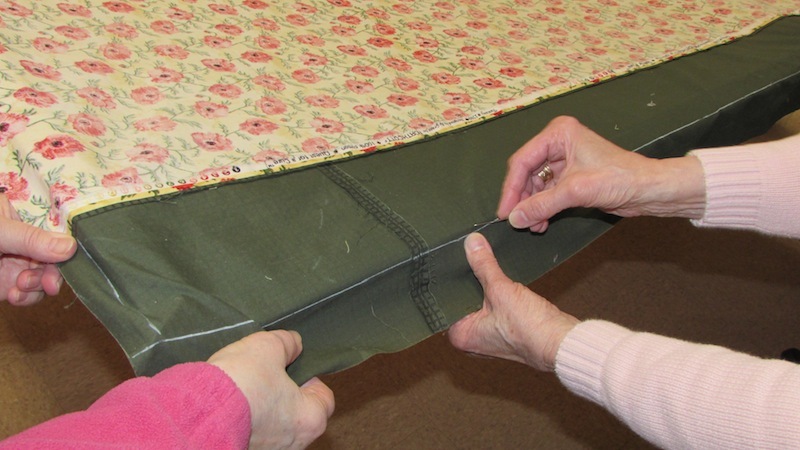 Long basting stitches – used to hold the top, batting and backing of a quilt together while the quilting is done – followed. The World War I-themed quilt features a "rolling stone" pattern and nine-patch design with cream, several greens, and a showy black and red poppy fabric at the center. A simple potluck followed. 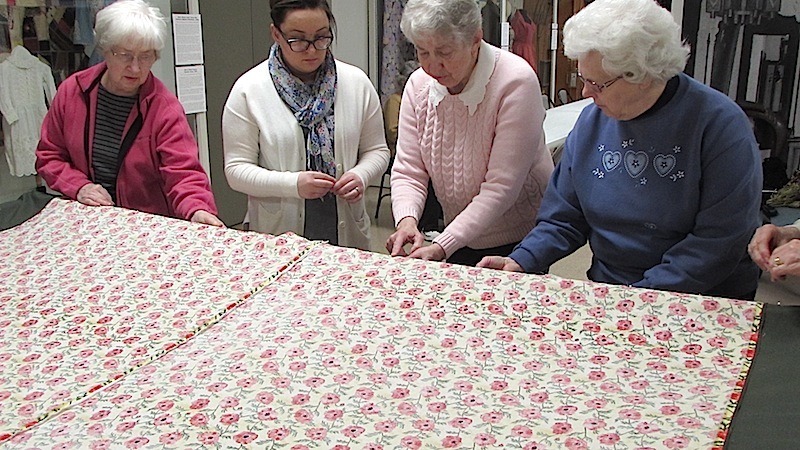 Thanks to everyone who worked on this latest quilt. It promises to be a stunner!